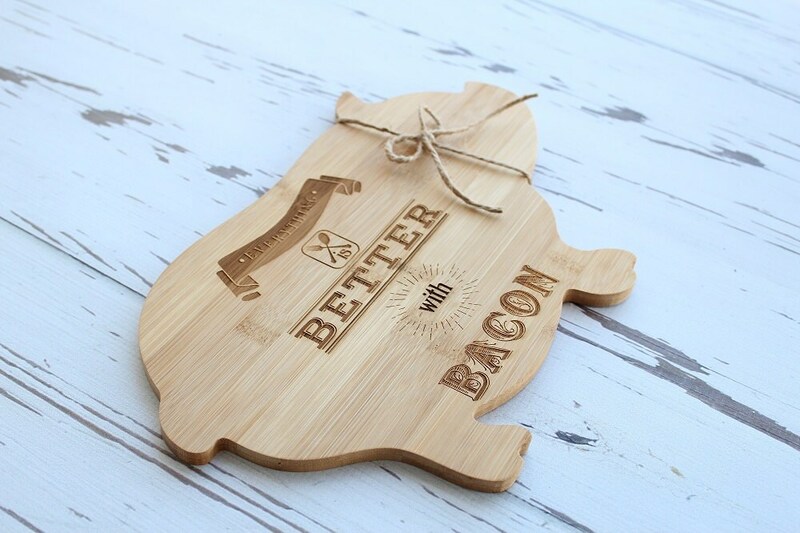 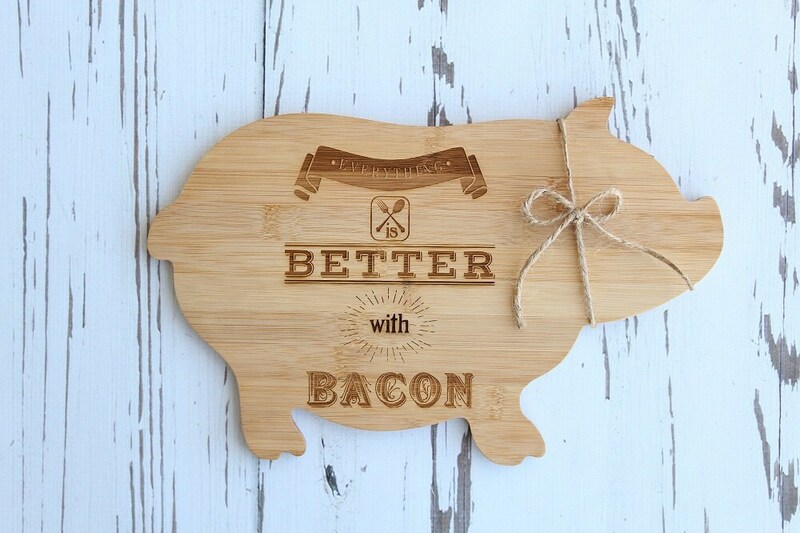 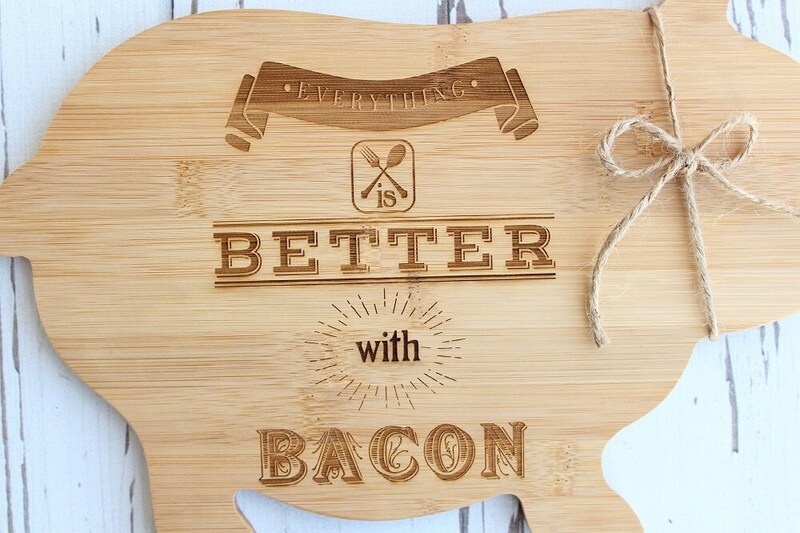 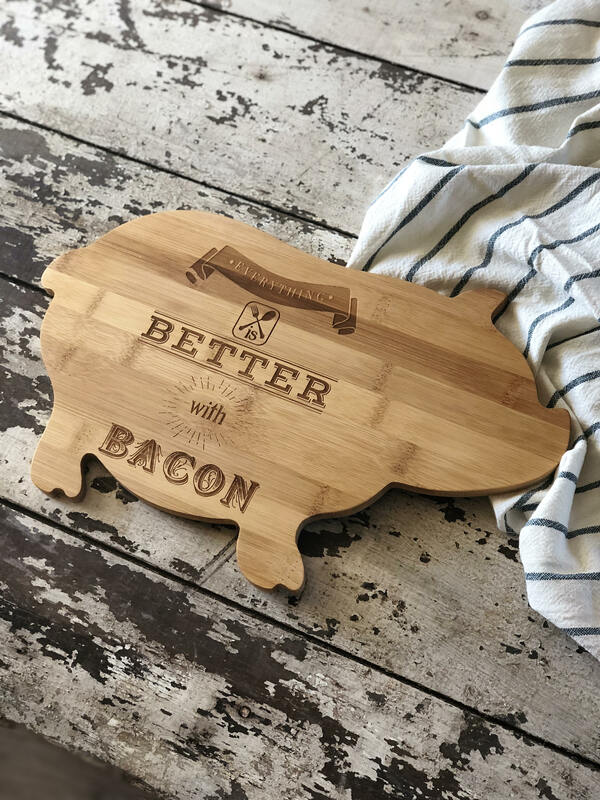 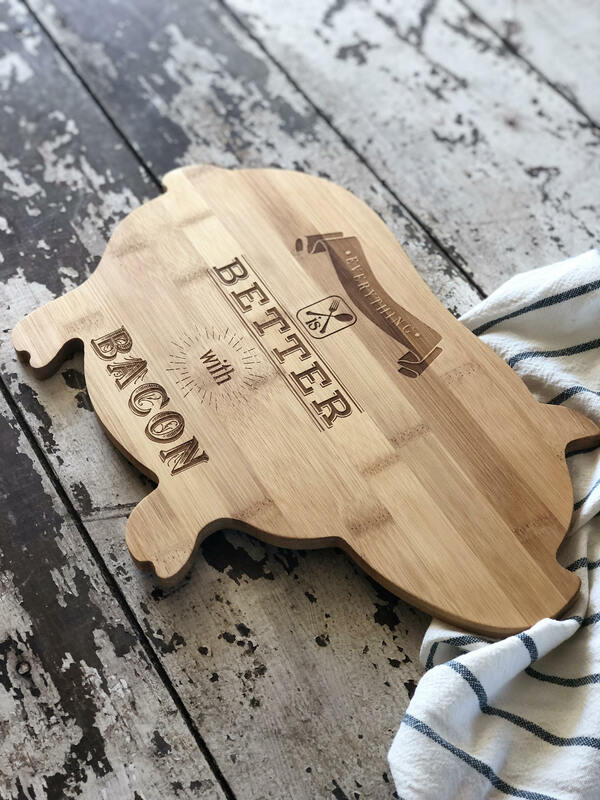 This adorable Pig shape Bamboo cutting board features a custom engraved design. 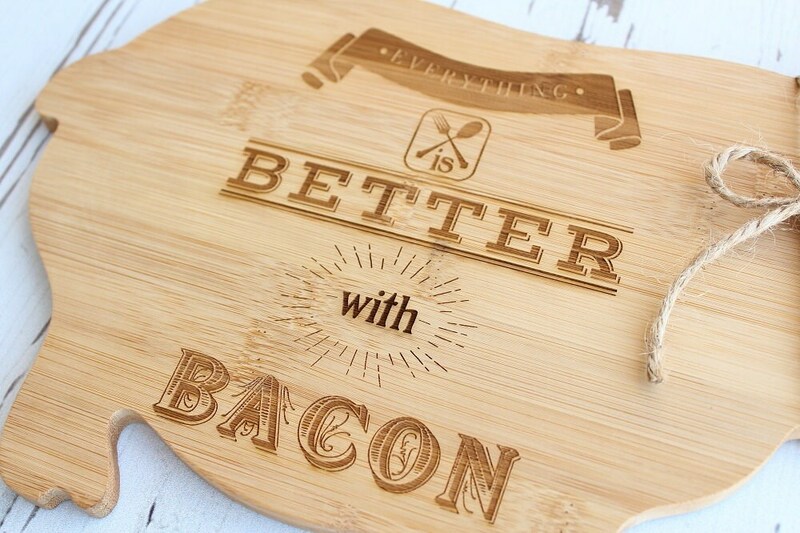 If you are looking for a custom design or logo to be engraved contact us with details. 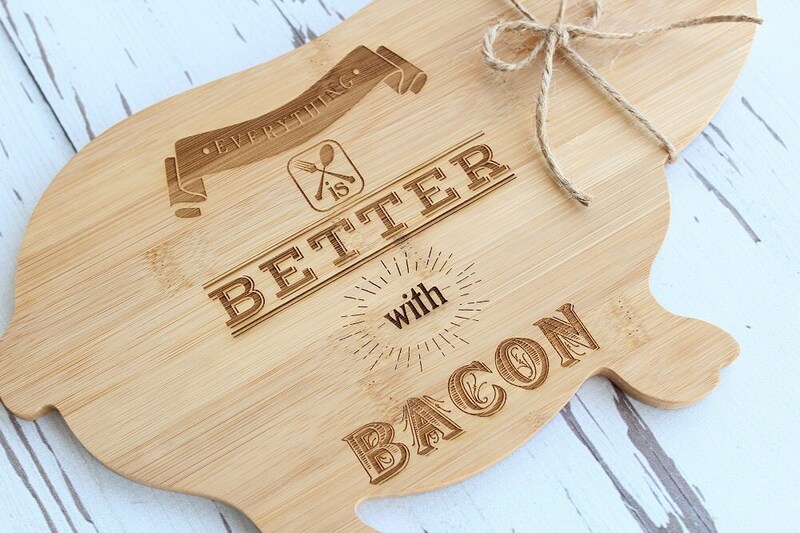 The wood grain in Bamboo varies from light to dark, therefore the engraving on the bamboo may have lighter and darker spots.